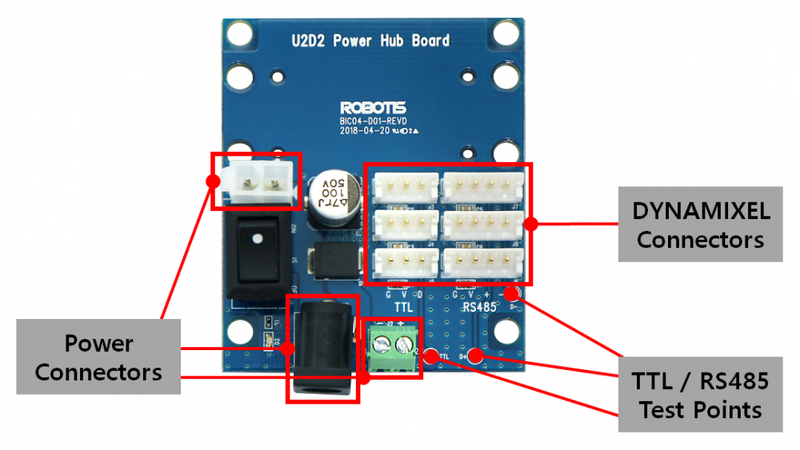 The U2D2 power hub board combines with the U2D2 to supply a variety of external power sources to Dynamixels. The board is capable of supplying power to all Dynamixels with the SMPS port, terminal block, and 2P power connector. The board has holes to fix the U2D2 module and can be assembled using the rivets supplied in the package. *U2D2 and robot cables not included. 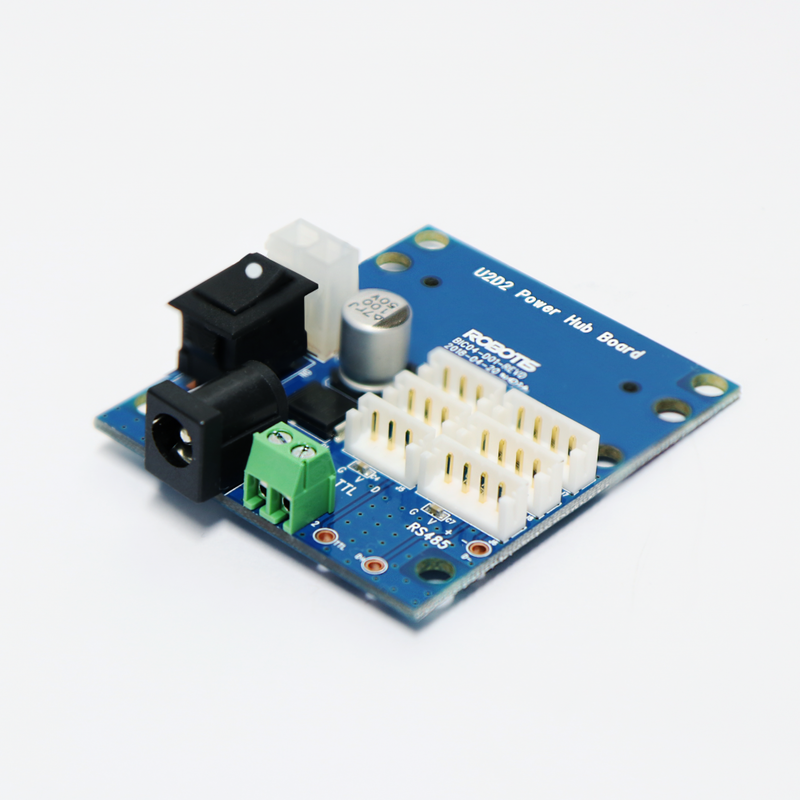 The U2D2 power hub board only has a JST type connector and requires a convertible cable when connecting to Molex type connectors. When using the terminal block, please pay attention to the polarity when using external power. Various pins are exposed behind the board. We recommended to assemble and use the supporter included.